The Brooklyn Commune’s Cultural Democracy and Representation Team, led by Kyoung H. Park, has created a series of interviews with artists and arts leaders to address issues of diversity and social inclusion in contemporary performing arts. Over the course of the next few months, we will highlight interviews with artists who are in conversation with our team to ask ourselves how we can insure that people from all points on the age, race, gender, sexual orientation, religion and cultural spectra have a place in the conversation. We invite members of our community to help us gather more information by completing our artist surveys here, and stay tuned as we synthesize our findings and share them online. Thank you so much for doing this. This is very exciting. Before we start, could you let our readers know who you are and what you’re working on right now? I am a former curator and commissioner of contemporary performance through DiverseWorks in Houston, Texas. Through DiverseWorks, I also co-founded a queer, performing arts company in the late 90’s that was multi-gendered and multi-ethnic. Recently, I started a new position as Director of the Center for Arts Leadership at the University of Houston. Could you let us know more about the work you did with DiverseWorks? Yes. Earlier in the days, I was introduced through DiverseWorks working with Mary Ellen Strom and the School’s OUT: The Naming Project. I was brought on as a project administrator to work with young, gay and lesbian people, particularly teens and young adults in their 20’s. We also worked with Luis Alfaro, Five Lesbian Brothers, and Brian Freeman over the course of a year. When Mary Ellen came, she brought queer young people from New York to work with the Houston group and create a performance together. This project started my entire performing arts career. For nearly 20 years, I worked at DiverseWorks as an intern, then as an Artist Board member and eventually as a staff member (as part of the National Arts Mentorship program) and eventually as Executive Director and Artistic Director. I think that my most pressing work there was to commission national and international artists to work with local communities and sometimes, work with local communities to create new works—last season it was Aaron Landsman’s City Council Meeting. Previously, we worked with a number of people of color, particularly queer artists or underrepresented artists. Then, we really tried to focus on trans artists and trans issues; in addition, working with queer artists of color from different generations was an important focus for us in order to engage different types of communities and audiences. During this time, were you also involved with the National Performance Network? Yes, I was on the Board of the National Performance Network during its transition from a project built by Dance Theater Workshop to its own stand-alone organization. I was the Regional Desk, acting as the representative of the Southern Region while working with NPN presenters in the south. At one point, we were really interested in utilizing our network to support artists from the south, and particularly artists of color, so they could go across the network. We were successful with some—with others, not so much—but we were very much utilizing that network of presenters to expand our ability to work with diverse artists and communities. In this trajectory, how have you seen underrepresented artists, or artists of color, approaching identity in their work? It was a very interesting journey to be part of DiverseWorks and see so many artists of the time—icons such Brian Freeman, Luis Alfaro, and Elia Arce—do their work over multiple years. We also commissioned “emerging” artists like Michelle Ellsworth and Jennylin Duany, who we worked with over multiple years. Trying to understand where artists were in their career was important; for some who were earlier in their careers, we were trying to reconcile what we thought was truth with the external reality and the art became very much about that. Sometimes, it was educational and sometimes it was angry. With other artists, we asked how to could create something more universal—a point of connection with an audience who did not superficially look like the artists we were presenting. Do you think your role was to find those points of connections between the artists and audiences? Very much so. As a presenter here in Houston, it was my role to understand the purpose and vision of the artist, and to ask ourselves how we could align that and support that to get audiences who were able to approach the art in an open way—as an investigation or inquiry. I think we also addressed differences by creating coalitions: nurturing audiences that looked superficially like the artists, while creating a group of people who were really interested in the artist’s experience and/or process. If we did that, we were successful in the challenge of bringing artists and communities together. Sometimes, even in the failures, we—the artists, presenters, and audiences—were able to learn not only from our misconceptions, but also where there was a breakdown of communication, or locate the assumptions being made. How do you envision the role of an audience participating in the work? It depends. Initially, it was easier to think of the audience as a receiver and being very passive. But as the partnerships with our artists evolved and things became more complex in our understanding of the audience’s role, we started to really address what the artists and audiences’ specific needs were and how to better frame the work. Can you give an example of how that was done successfully? One of the best examples is a multi-year endeavor with spoken word and hip-hop theater. It started by working with Universes with Slanguage and then Marc Bamuthi Joseph’s Word Becomes Flesh. At first it was just about presenting a new form of theater. That it also highlighted artists of color, was even better. A couple of years later, Shannon Buggs with The Houston Chronicle asked DiverseWorks and two other organizations to help start a youth-spoken word team. At the same time, we were presenting a co-commissioned work by The Suicide Kings—that Bamuthi was directing—to get things rolling. The writing and spoken word workshops in the schools prior to the Kings’ performance inspired us to launch Meta-Four Houston, the youth spoken word group that DiverseWorks incubated and now WITS (Writers in the Schools) is growing. At first, it was about just presenting the form, but then we also had opportunities to create partnerships to support local artists and, in turn, build audiences and awareness for the form. It seems like there’s a lot of work involved in supporting artists of underrepresented communities. Do you feel that this work is “risky”? I think it’s easy to think of this as “risky.” For many curators and presenters, these are cultures and artists that are “different” and assume that they must work hard to understand where they’re coming from. Facilitating how the artist’s experience is translated to an audience is easily considered “risky” because we don’t know what we haven’t tried. Clearly, there are many pioneers who have championed diverse works in the past and done it well, but it’s always going to be easier to say that an audience won’t understand that, or that they won’t go there because it requires so much work. It’s easier to assume that if the representation on-stage looks like me, that the audiences will have a positive experience. To support underrepresented works, not only does one need to get the artists ready for new audiences, but if there are different needs to be met, or contexts to be placed then one needs to make sure that the audience has enough information so they feel comfortable enough to go on a ride and know that what happens on-stage has some relevance to them and that’s why they want to go on that ride. What strategies are helpful to bridge this gap? What I’ve learned from the most successful relationships with underrepresented artists and communities of color, is that long-term conversations help us really understand the goals of an artist and what the needs are for a particular work. These conversations help us more clearly define the community and the context we are working in. Long-term relationships, or finding partners who actually understand their own communities, are also stronger when you have the artists being part of the conversation with your community partners, so that the relationships continue to build and are not divided into artist/presenter/audience, but rather about all of us coming together in a same space. Were there any needs that surprised you or were more salient in your experience? It’s hard to think of anything as a particular standout, but there is always a line between over-contextualizing the work, which ghettoizes it, and letting the work stand on its own. I try to position myself in a point of inquiry to convey who the artist or audience is, specifying points of investigation, and putting this into a context while figuring out when the art just doesn’t need to be explained. How do you juggle the balance between supporting artists and providing to your audiences and communities what they need to be receptive of a new work? One of the great things about NPN was the Creation Fund, which allowed us to commission work of artists with another partner. That was one of the tools I tried to use as much as possible to get artists of color, artists of the south, and queer artists, commissioned and their work put in front of new communities. It’s always been so difficult for artists of color to get that initial commissioning support and for me, as a presenter, this support was a way for me to leverage more support for the artist and presentation. We saw that a lot of projects can take as long as three years to create. So we started to try and figure out how much of that time we’d want to spend with the artist on the actual creation of the work, and how much of that time we’d work together to make connections with the community and create contexts for the audience. We invested in site visits to bring the artists here and meet other people in person. When we really made those partnerships happen, it made the arts ecology stronger, and we found that everyone had a greater willingness to venture into the unknown and take a risk. Performance art, theater, and dance aren’t part of everyone’s yearly vocabulary, especially here, so there were a number of barriers we had to breakdown. In Houston, we benefit from the rich diversity in the arts community, and the major support from foundations, so there are a lot of arts organizations that have been able to specialize and develop their own audiences. One of the great opportunities we have is to partner with different organizations and bring those audiences together; that facility—friendliness towards collaboration—is something that Houston art organizations are proud of doing very well. These relationships have continued to grow and enabled many of us to grow our organizations and our audiences. Have you seen an evolution in the way the work of artists of color is received? There’s clearly been an evolution and my belief is that with more exposure, there are higher demands for more and better works from artists of color—better being defined broadly, of course. In the beginning, these works were often considered the educational and feel-good pieces, and I think that for some audiences, the fact that they were able to go to a different part of a city and be part of a multicultural, live performance, was a great introduction to new artists of color and when successful, audiences recognize and remember the work’s impact. But with time, it became about how we could make these works more complex. What are we really working for? How do we make diverse works more about an everyday experience—not just something the community can really identify with? In other words: what are we asking the audience to think about and are there ways we can act upon it? As much as we’d like to catalyze change, or artists would like to catalyze change in the audiences, that change looks differently for a lot of people. I think there is now a larger demand for artists of color because we need to ask more questions and there’s a number of artists of color who have become very savvy and become stronger artists by becoming stronger community organizers, marketers, and business people, which has helped audiences demand more. In our research, we’ve asked artists to identify themselves, and while they do identify by race and/or gender, a majority want to defy conventions and simply want to be identified as artists. The response has been surprising because I always thought whether you were an artist of color or not, you were always first and foremost an artist, but it seems that there’s a shift here. Could you help us unpack this? I grew up as a presenter in the late 90’s, when there were a lot of festivals with categorizations—here’s our queer festival, here’s our black festival, here’s our people of color or women’s festival. We’ve moved away from these categorizations to not ghettoize the work and instead, let it exist on its own. But this type of learning was a large societal shift and I think that in terms of phasing these categorizations out, I’ve experienced different reactions based on marketing strategies and audience perceptions. Some audiences like the categorizations because it helps them pierce through the plethora of options available, as they wanted to identify with the work they see. But I think, younger audiences are more inclined towards experimental theater which defies categorization and/or ethnic representation, and these categories don’t matter as much as what the artists are talking about. Some audiences needed these categories to hang things on, so trying to work with different generations of audiences, and how they perceive events, is always challenging. In Houston, Texas, experimental performance isn’t necessarily as prevalent, so we’ve had to work with that barrier as well. What challenges are you facing now, and what are the opportunities you see? Houston in particular has been touting its diversity as an incredible boon—we’re the most diverse city in the state and the nation’s demographics will be looking like Houston’s in the next ten years. However, the arts leadership of our arts community does not reflect that diversity, so this poses significant questions for me to consider. Where is our population now, and how can the arts community be more reflective of the population in the city in its audiences? What do we need to do to support that in our artists and leadership, to continue to push our organizations to recognize that the approach to these diverse communities might require different methodologies? I’m interested in where can we go, and how we can do this, particularly along with artists. For artists, this is an opportunity to lead the charts within their own realms, within their own art, and if we can take what they do from the context of their work into the larger art ecosystem, can we support that charge and broaden these new ideas? I don’t want to differentiate between people who work in arts organizations and artists, but the role and the function of these two different positions seem to have a gap. Definitely. How can the artist continue to be thought of as a leader and how can their work in smaller scales be used as models or inspiration to move forward? Are there ways artists and arts organizations can partner to model new ways of operating in partnership? How can more artists be recognized as leaders? And can we accept their leadership as artists and not force them into positions that are out of their expertise? Are there skills that people like Rick Lowe or Bamuthi have learned that can be taught or cultivated? We’ve found many examples of how artists are taking more significant roles, equal roles with producers, and presenters, in order to frame their work. Some artists understand audiences and can really help arts organizations re-enforce innovative practices. How can we be working together to make this happen and support artists of color in multiple ways? If the artist really wants to stop a patronage mentality with arts organizations, now is the time when artists can take a leadership role and create a new paradigm. That’s where I’m hoping we arrive. Great—those are my questions. Thank you so much! 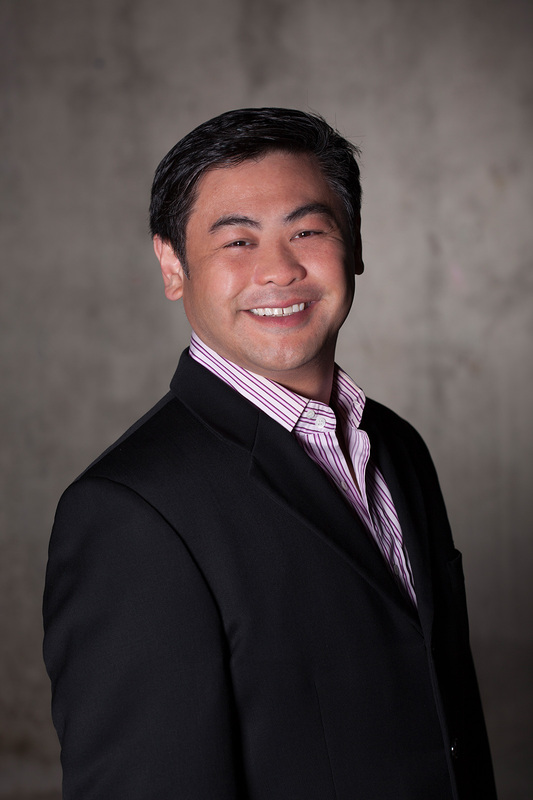 Sixto Wagan is the inaugural director for the Center for Arts Leadership at the University of Houston. Prior to this role, he led the contemporary art center DiverseWorks in various roles including Artistic Director, Co-Executive Director and Performing Arts Curator. His tenure was noted for supporting performers whose works tackle prescient cultural, social, and political issues. Wagan currently serves as a Hub Site for the National Dance Project, and previously participated on the Performing Arts Japan Advisory Committee and FUSED (French – US Exchange for Dance) Artistic Committee. He has served on the boards of QFest, The MacDowell Colony and the National Performance Network.